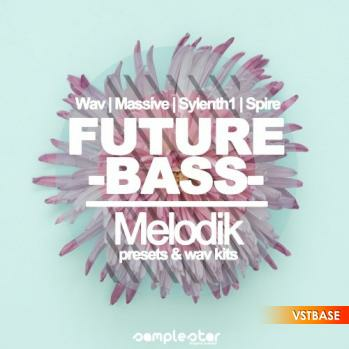 Samplestar are very proud to present Future Bass Melodik! We’ve included everything you need for your next big Future Bass banger! Featuring 6 huge inspiration kits packed full of infectious melodic content supplemented perfectly with our corresponding preset patches. The wav inspiration kits are 100% royalty-free, fully customizable and ready for you to put your own unique stamp on! Users will need Massive, Sylenth1 & Spire in order to use the included synth patches. • Full Song Starter Inspiration Kits: 6 x Huge key labeled track starter kits of combined Drums, Bass, Synth, Melodics & Vocals broken out into individual professionally mixed and mastered Wav stems. - (Including: Full (.MIDIs) And (.VSTi Presets)Files).